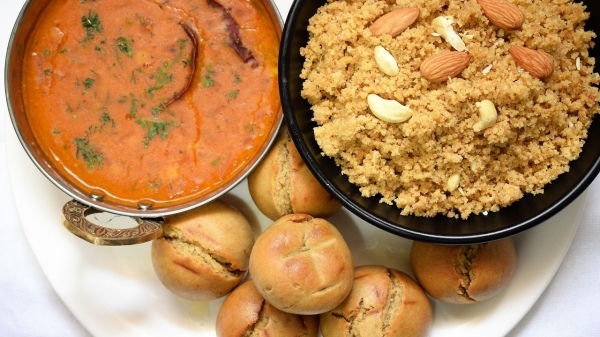 Home food 10 dishes you absolutely can’t ignore when you are in Rajasthan! One of the most delicious dishes of Rajasthan is undoubtedly the Dal Bati churma. In fact, Rajasthani cuisine can never be complete without this famous dish. It has round and yummy batis which are dipped in ghee with Panchkuti dal and churma. So make sure you make it a point to have this dish while you are in the land of Maharajas. This is a hidden gem of the deserts. This vegetable typically grows in deserts and ker sangria is a kind of pickle. This dish won’t disappoint you even with plain old bajra rotis as the tangy taste of this vegetable pickle goes perfectly with the subtle taste of the grainy rotis. Again, a must try if you love to and want to explore and expand your cuisine choices. Due to less rainfall Rajasthan has surely overcome some extremely clever idead to overcome this and this dish is certainly a proof. Out of vegetables here is papad ki subzi for you! The papad is broken and added to curry made up of yogurt and besan is served with steamy white rice which is a mouth watering and out of the box combination! 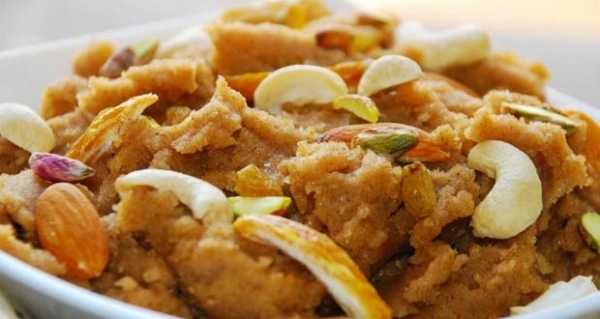 It is a very popular sweet dish among Rajasthanis. 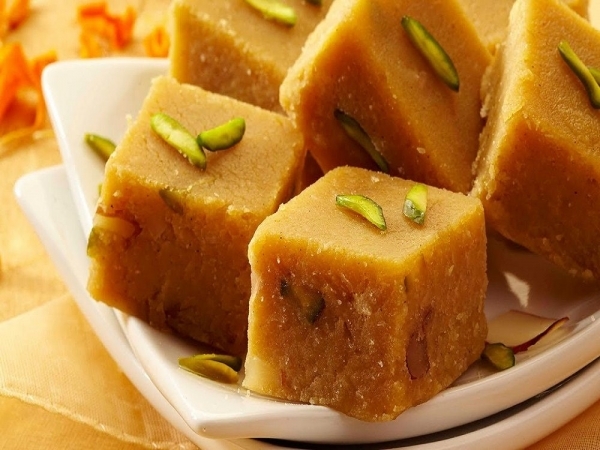 It is also commonly known as Mohanthaal or Besan ki Barfi. It has a very soft chewy texture that dissolves pretty well in your mouth leaving behind a grainy texture which will make you keep wanting more. It is also loaded with dry fruits to make it more appeasing to the tongue. 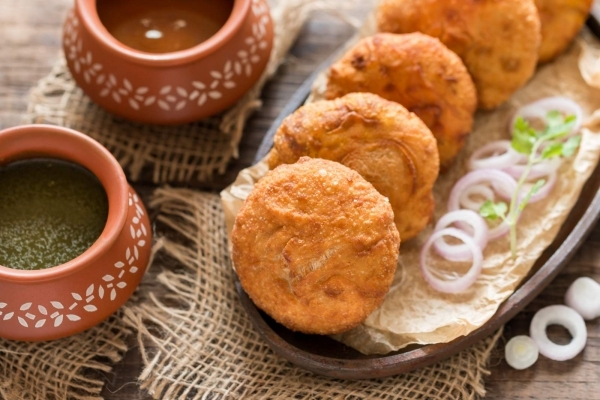 Did you know the very famous and tasty onion kachori that we all love was actually originated in Jodhpur? These are flaky fired breads that are made when onion is dipped in a batter made up of besan along with numerous herbs and like fennel, cumin and turmeric. You can have this with either a tangy tamarind chutney for an explosion in your mouth or a coriander and mint chutney. This will certainly be one of the yummiest halwas you’ve ever had! One of the tastiest dishes of Rajasthan this piping hot halwa will be your favorite especially in winters. It is prepared with semolina (suji), lots of fruits, sugar and loads of ghee. This dessert will melt as soon as you place it on your tongue and make your eyes pop out due to the deliciousness. As unique as its name, this dish is also a kind of pickle made out of raw mangoes and is surely a great way to beat the heat. 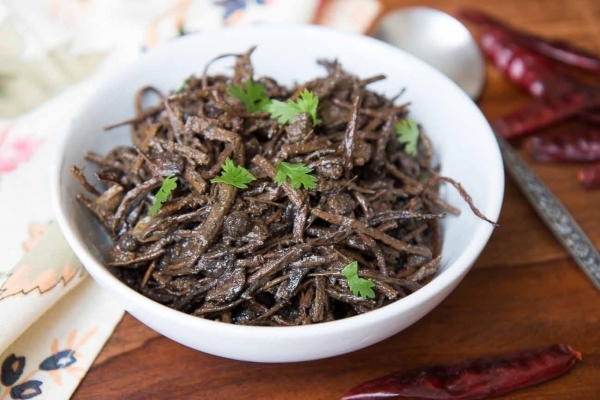 The pickle is made up of fennel and Nigella and has a sour and sweet gravy texture. 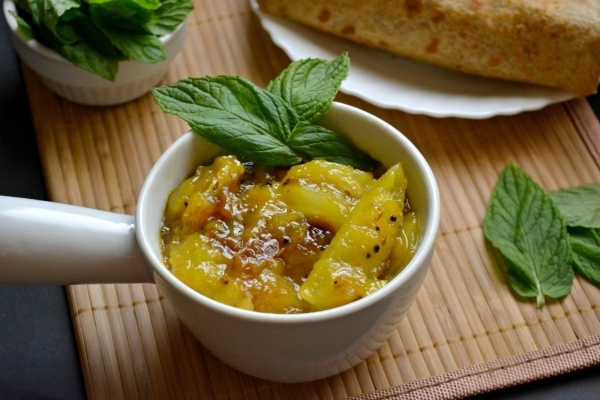 Sometimes raw mango chunks are also added to increase the flavor of this yummy pickle. A more royal version of the plain old kachori, this exclusive delicacy is surely mouth-watering. 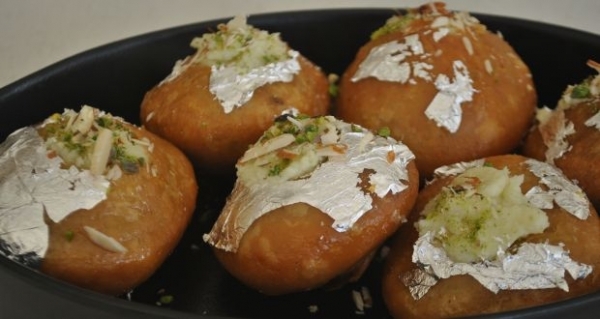 The kachoris are filled with mawa, fruits, and dry fruits. It is then deep-fried and dipped into sugar syrup to enhance the taste. If the perfect dessert after a hearty lunch or dinner which will definitely keep you craving for one more! 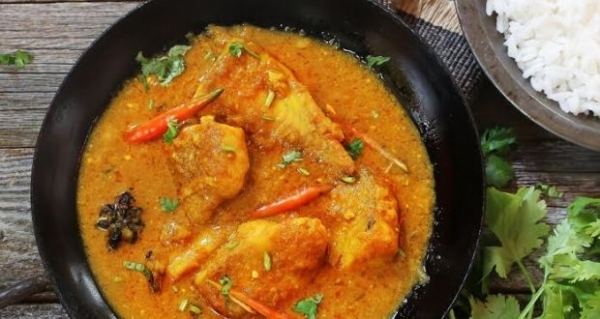 This famous dish is also commonly known as Govind Gatte by the locals. 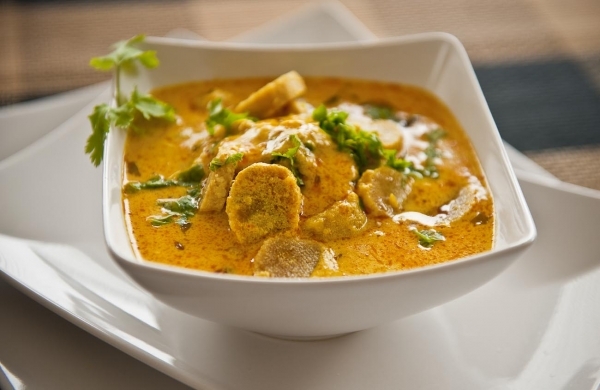 Shahi gatte is the glorified and more refined version of the popular dish masala gatte. In this dish, besan dumplings are filled generously with nuts and it is then deep fried. The dish goes along with plain roti and personally, we would love to eat it even as a snack. The dish perfectly defines the ethnicity and tasty cuisine of Rajasthan. Bored of the plain old tea cakes for evening snacks during tea time? Well here is Kalmi Vada for you. 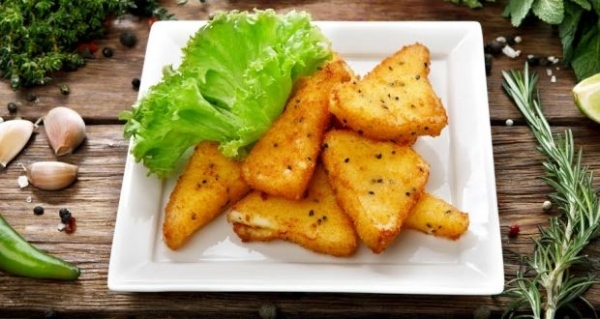 This is definitely a tea time snack which is made up of dal and is deep fried until crispy. The best partner for this dish is green chutney made up of mint and chilies or you can even eat it with ketchup. Whatever suits your taste buds, but even without a companion, this dish is surely a sizzler!